Easter will be here in just two short weeks. 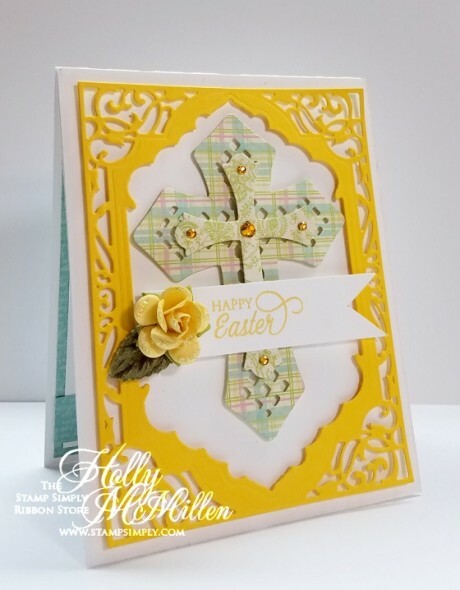 And with that in mind today we are sharing a variety of Easter projects our Design Team has created, both from previous years and this year. 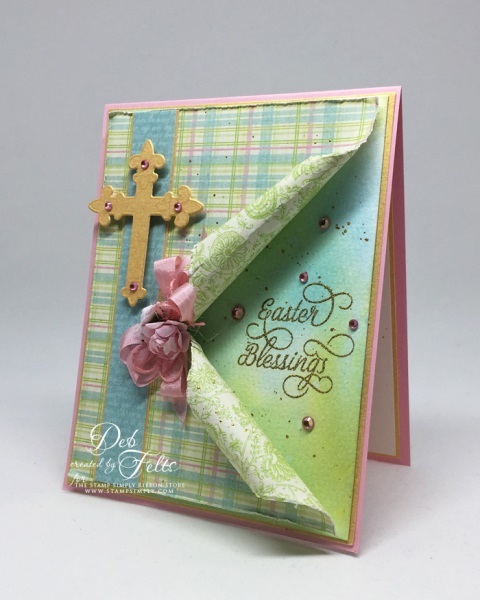 Many of the items used can be found in our Easter Category, where much is on sale! And we’ll get it shipped out to you pronto, so you’ll have plenty of time to create. In no particular order, lets get going. Find original post with product list here. Check out all those gorgeous ribbons and laces! 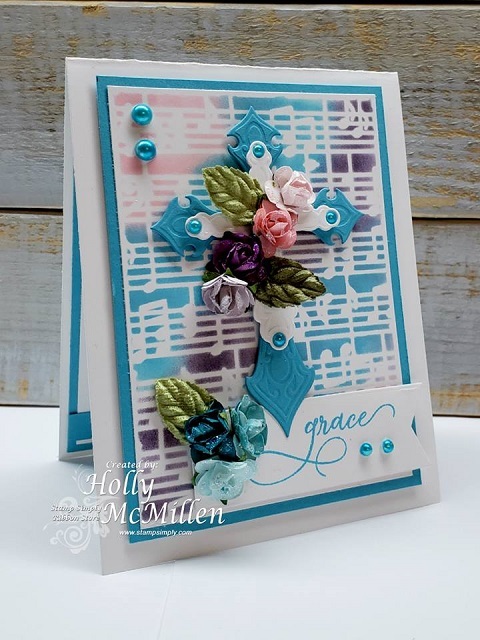 Check out the sparkly embossed detail on this one! 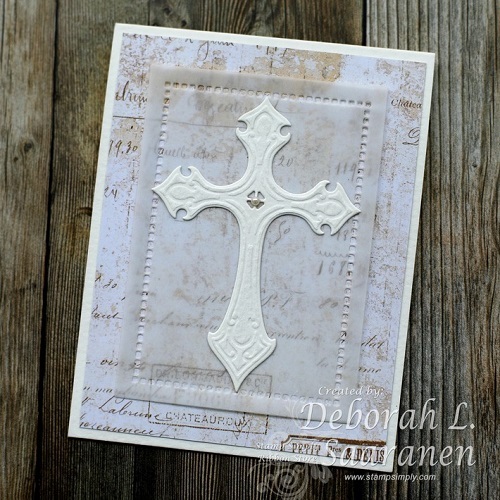 Love that beautiful stacked cross and that darling bunny paper! The card is most definitely worthy to be used as home decor! 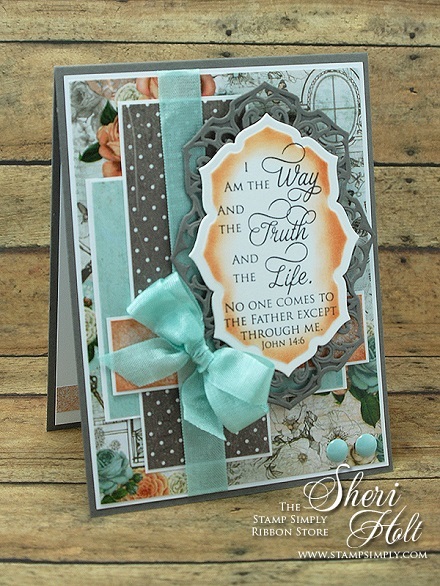 Here’s that same darling bunny paper popping up again, and those hanging tags, too cute! 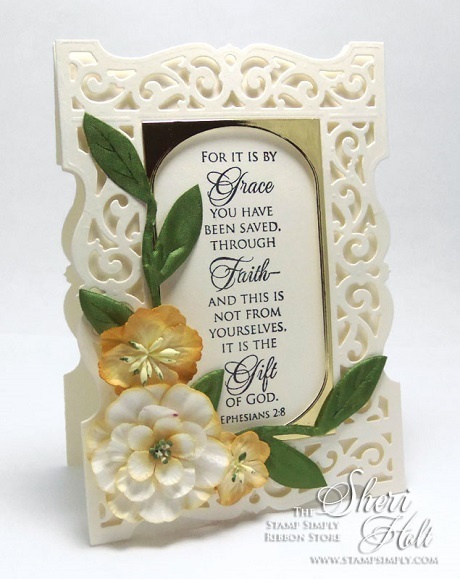 Loving this cheerful card in yellow! Stunning! All those prints and colors – just gorgeous! 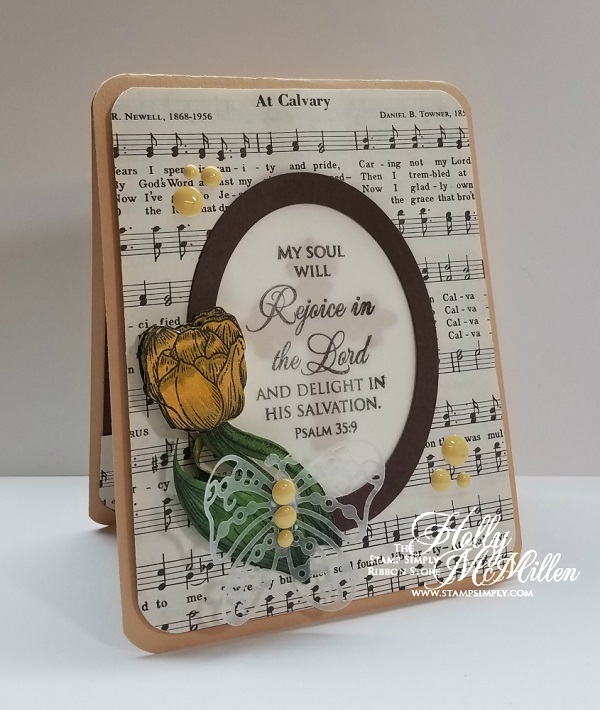 Oh, be still my heart – just so very lovely! Flat for mailing and as lovely as can be! On my – how lovely can it get. 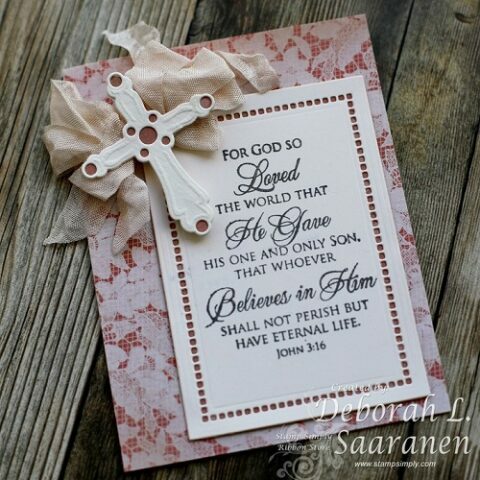 That cross, the papers, the scripture! 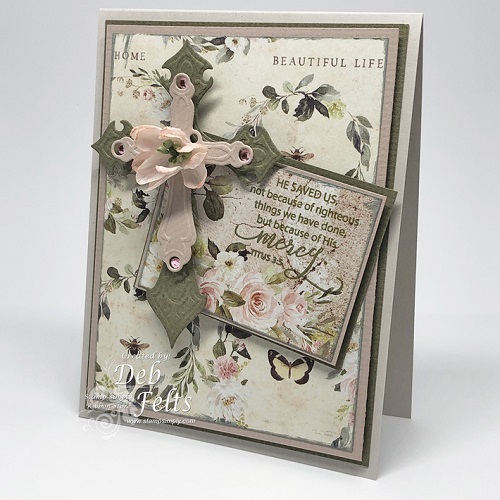 Another flat for mailing card with a vintage feel – lovely! What a totally WOW! 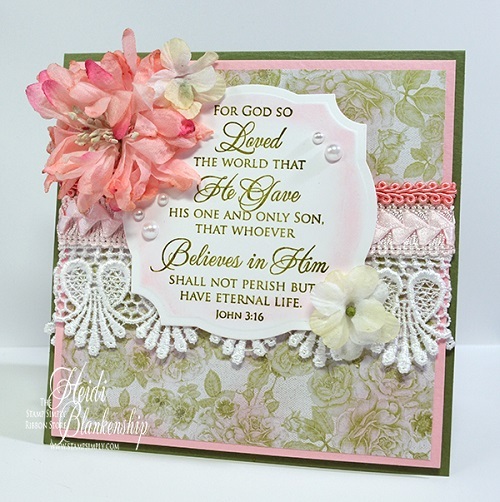 card – so pretty, so pink, so lady-like. I love the subtle view of the cross behind the scripture/vellum. 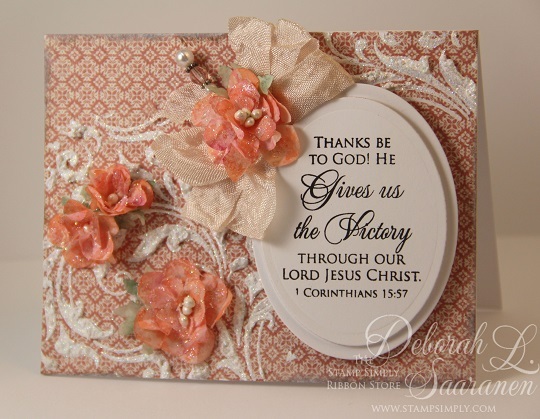 That coral color is so lovely! 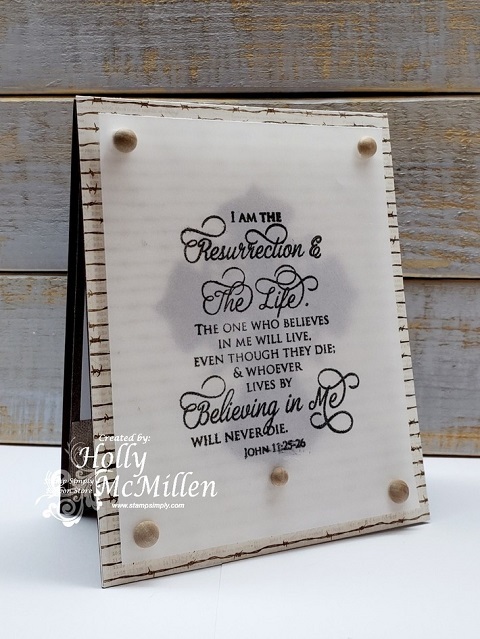 The perfect Easter scripture to share. 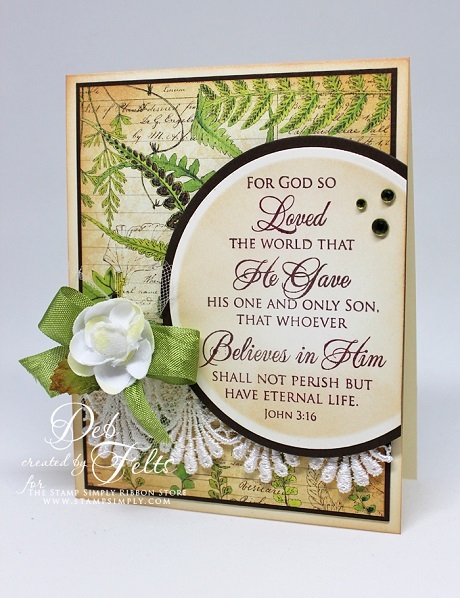 John 3:16, once again. The message never gets old. 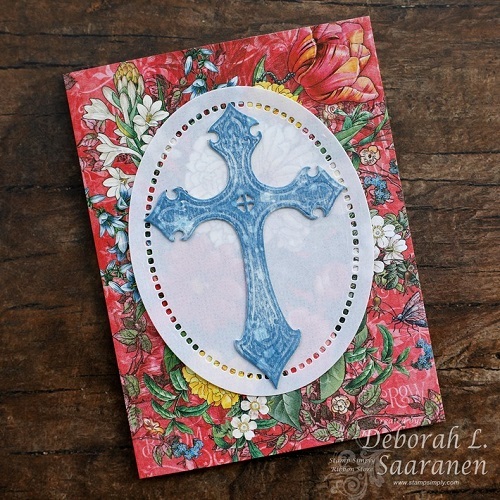 A card with a more rugged feel – perfect for that old rugged cross. 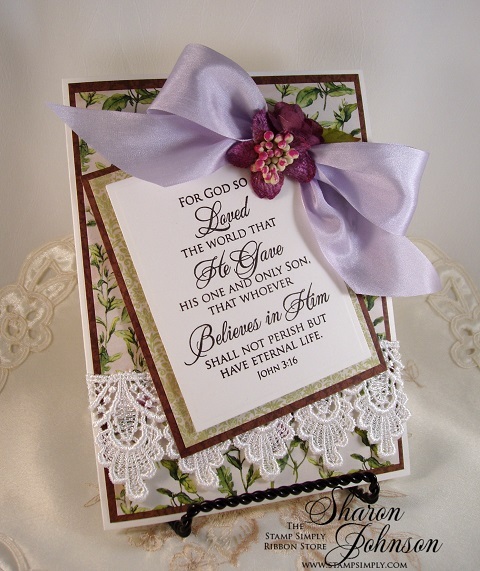 Another verse from scripture that encapsulates the Christian message. 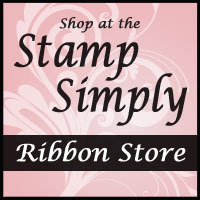 All items available at The Stamp Simply Ribbon Store, as linked in each individual post. 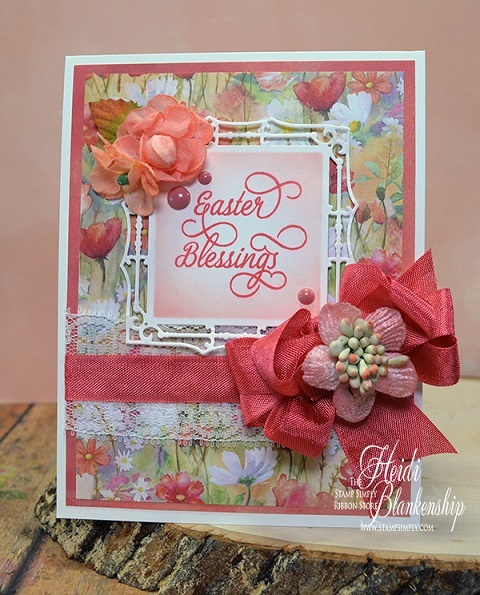 Beautiful Easter cards, thanks for sharing!